It is the most expensive gemstone in the category of gemstones. The most auspicious diamond is one that is colourless with a blue tinge or one, which sprays blue, and red rays and is without black dots. The Diamond with a red or yellow hue or tinge is said to be beneficial and auspicious for kings, political leaders and administrators. The Diamond having a white hue is suitable for religious, social and spiritual works. The Diamond of yellow hue showers success and prosperity. The Diamond of black hue is suitable for people who are engaged in inferior jobs or professions. Women desiring birth of sons to them should wear an unblemished white Diamond having a slight black hue. The wearer of Diamond is protected from the bad influences of evil spirits, and snakebites. A defective or blemished Diamond causes great harm to its wearer. The Diamond with the shape of island, is white, destroys wealth and happiness, and the one with the black Yava destroys wealth. Other defects disturb mental peace and bring disasters and diseases. I) Dots: - The appearance or an impression of a dot on the Diamond is a major flaw in the diamond. Black dots are considered inauspicious in a diamond. White dot is considered acceptable. II) If there are dots like the criss crosses then such diamond is considered inauspicious and is believed to bring death to its wearer. III) If the yava shaped dots are on the diamond then it becomes inauspicious except when the dots are white in colour. IV) If there is dirt in the corners or center of the diamond, even then it becomes inauspicious. Diamond is the gemstone of Venus. It will be beneficial for natives in whose birth chart Venus is lord of auspicious houses. Suitability of Diamond Gemstone According to All Ascendants (Lagnas). If our readers want to know about their Ascendant (Lagna) they can find there free horoscope chart Please click here. For the Aries (Mesha) Ascendant, Venus is lord of two Maraka (death inflicting) houses and mars, the lord of this Ascendant, is an enemy of Venus. Therefore, it is advisable for the natives of this Ascendant not to wear a Diamond. If necessary, Diamond may be worn in the major period of Venus, if necessary, if Venus is in his own sign or is exalted in the 12th house. One word of caution, natives whose birth chart indicates a short life or those who are seriously ill should never wear a diamond. Instead, in such circumstances they may wear Red Coral, the gemstone of the lord of this Ascendant. For the Taurus (Vrish) Ascendant, Venus is lord of the Ascendant. In this case, diamond can be worn by the natives of this Ascendant for whole of their life for longevity and advancement in life. It will be extremely useful to wear it in the major and sub-periods of Venus. Combination of Diamond and Emerald will prove very useful and give advantage to the natives of this Ascendant. For the Gemini (Mithuna) Ascendant Venus is the lord of the 5th, a trine or trikona , Venus is an auspicious and a benefice planet for this Ascendant (Lagna). Venus is also a natural friend of Mercury who is the lord of this Ascendant. Consequently wearing of a Diamond in the major and sub-periods of Venus will provide happiness, name, fame, intelligence, fortune and children to the native. Wearing of Diamond along with Emerald will be beneficial for the Gemini natives. For the Cancer (Karka) Ascendant, Venus is lord of the fourth and the seventh houses. Lordship of these houses makes Venus an inauspicious planet for this Ascendant. Moon, which is lord of this Ascendant, is natural enemy of Venus. For the Leo (Simha) Ascendant Venus is lord of the 3rd and the 10th houses. Venus will be an inauspicious planet for this Ascendant (Lagna), but, if Venus as lord of the 10th house is posited in the 6th, 8th or 12th diamond will help in profession. If Venus posited in his own sign in the 10th house, it will give rise to two Amala and Malavya yogas. For the Virgo (Kanya) Ascendant Venus is lord of the 2nd house which is also house of wealth and the 9th house which is house of luck or bhagya, it is also a trikona, Venus is an auspicious planet here and wearing of a Diamond will provide native with wealth, children, fortune and honours. There will be pronounced results during the major and sub-periods, more when Venus is in its own sign in the second or the ninth. Wearing of Diamond along with Emerald will ensure success in life to Virgo Ascendants. For the Libra (Tula) Ascendant, Venus is lord of the Lagna and eighth house and is considered an auspicious planet. Wearing of Diamond will provide health, long and successful lifestyle for the native. It will be extremely profitable to wear it in the major and sub-periods of Venus. In nutshell, Diamond is a protective charm for the Libra Ascendants. For the Scorpio (Vrischik) Ascendant, Venus is lord of the 7th and the 12th houses. Apart from this, Mars, as lord of this ascendant, is hostile towards Venus. Consequently, diamond should not be weared by the natives of this Ascendant. For the Sagittarius (Dhanu) Ascendant, Venus is lord of the sixth and eleventh houses. In astrology, occupation of these lordships is considered inauspicious. Moreover, Venus is also an enemy of Jupiter who is the lord of this Ascendant. If Venus is in its own sign or in the sixth or eleventh houses or as lord of the eleventh and is posited in the Ascendant, 2nd, 4th, 5th, 9th or 10th then wearing of a Diamond in the major period of Venus will be beneficial from the point of view of financial gains for the native. For the Capricorn (Makra) and Aquarius (Kumbha) Ascendants Venus will be lord of the 5th and 10th and the 4th and 9th houses respectively. Venus will be considered yogakaraka planet for these Ascendants. The Capricorn and Aquarius natives will get success in life by wearing Diamond for rest of their lives. 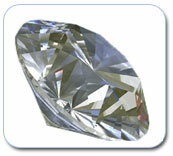 These natives will get excellent results if diamond is weared along with Neelam or Blue Sapphire. For the Pisces (Meena) Ascendant, Venus is the lord of the third and eighth houses, both of which are considered inauspicious houses. Venus is also an enemy of Jupiter who is the lord of this Ascendant. Therefore wearing of Diamond will not be beneficial for the natives of this Ascendant even when Venus is in the 3rd or the 8th in his own sign in a birth chart.